Cooking has never been more fun, easy and enjoyable without the right kitchen equipment. While cooking skills are essential in preparing a delicious meal, having the proper utensils matter a lot too. In case you have ever tried to go shopping for kitchen equipment, you must have noticed that it’ quite tricky to assemble the utensils that you need. This post points out the essential kitchen equipment that you need to make your cooking experience easy. Below are some of them. If you frequently cook, you will realize that most of the time you need to use a whisk. Without it will be almost impossible to incorporate air in a mixture or blend ingredients so that they could be smooth. You can use it to whisk together egg whites, desserts, whipping cream, salads, dressings and much more. While a whisk is handy in blending ingredients, choosing the wrong whisk can mess up what you are trying to cook. 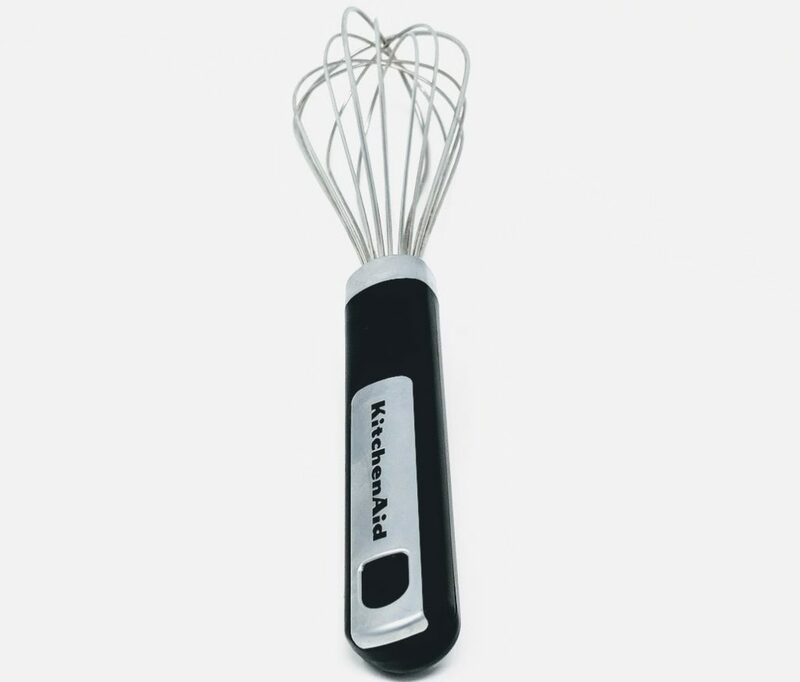 There are different types of Whisks like a French whisk, a balloon whisk, silicon whisk, and ball whisk among others. If you are looking for something to whisk in saucers and bawls, you might want to use a ballot whisk. If you wish to a whisk that can reach in corners and aerate creams or eggs, a French whisk is all you need. You know how terrible it feels when you are busy cutting meat or fruits in the kitchen but realize that the knife is blunt. That doesn’t mean that you should choose a poor quality knife. No matter the type of metal that was used to make it, repeated usage of a knife makes its blade to be misaligned. It can waste your time and spoil your day. But with a good knife sharpener, you don’t have to go through that mess. 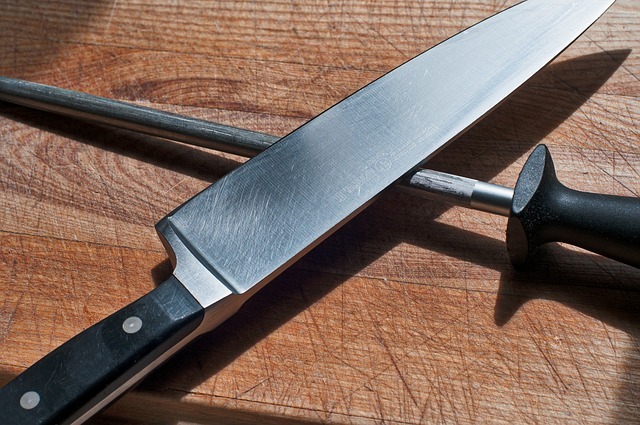 A sharp knife improves your culinary world. You need to learn DIY methods of sharpening your knife to save your money and time as well. You can always sharpen your knives as early as possible before beginning to cook to avoid such inconveniences. Get a knife sharpener like the Sunrise pro knife sharpener and make your knives sharp. Many people forget about a grater when shopping for kitchen equipment. They only realize the moment they need to use it in the kitchen. There is one other thing that people forget in case they remember to buy a grater. Did you know that using multi-purpose graters saves you from buying many types of equipment and saves you time as well? You don’t have to buy different types of graters. You can choose one that does all the tasks of a chiffonade and a Zester. 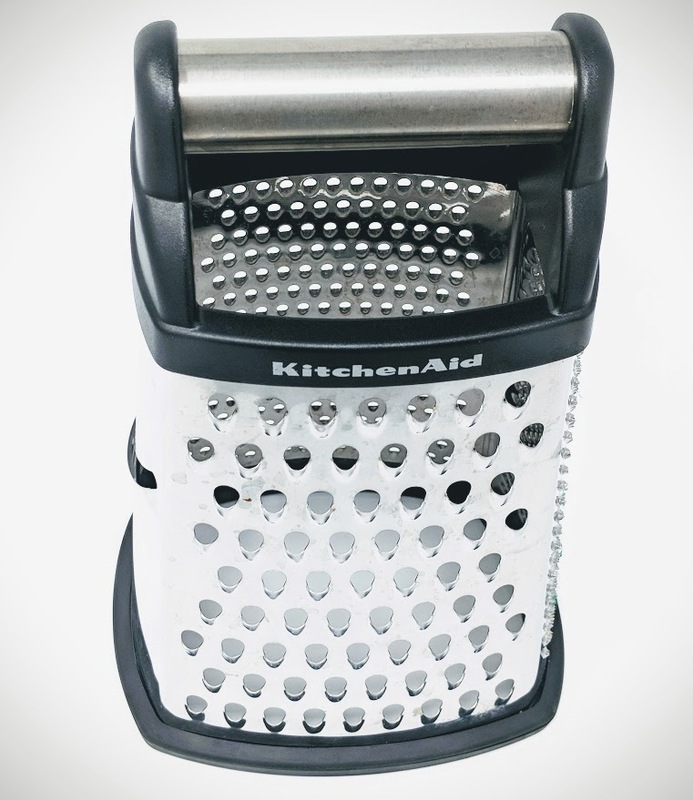 There is a type of multi-purpose grater called the 7- in-1 grater from Culspro. This one can grate fruits, slice, shave and grate ginger as well. With its high-quality material, you can use it for a long time without replacing it. Have you ever used a metal spoon and left it in the pan while the food was cooking? I believe when you got back to check the menu, you were not comfortable holding it as it must have been hot. You don’t have to worry when you have a wooden spoon. You can use it to taste the soup or stir the sauce. You must agree with me that most times while cooking you have to chop ingredients like onions, tomatoes, and other vegetables. Just like knives, you need a cutting board to make cutting easier in the kitchen. A cutting board helps you to avoid accidents of cutting your fingers while chopping off ingredients. 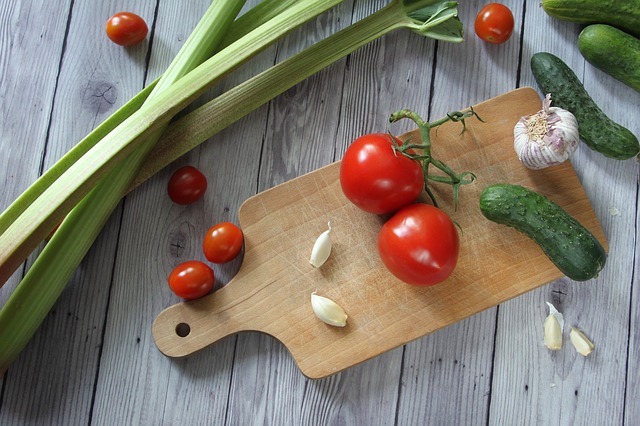 When choosing a cutting board, consider selecting a durable material like wood. One advantage of having a wooden cutting board is that it doesn’t harbor much bacteria like other materials. You can also buy the one made from thick rubberized plastic. While small cutting boards might help you to save space, you might need a bigger when cutting many ingredients. You can buy a relatively large cutting board that measures almost the same as the diagonal length of your sink, and it should also have a perfect design. You can opt for the one by the 21-inch model cutting board from OXO. What do you use to measure ingredients like salt, oil sugar or other components used in the kitchen? Most people use their eyes, but that may not be accurate at times. You may end up putting too much or too little ingredients. You need a measuring spoon or to help you with actual measurements. The best thing about the measuring cups is that most of them are angled such that you can see the markings and you don’t have to squat down to read them. 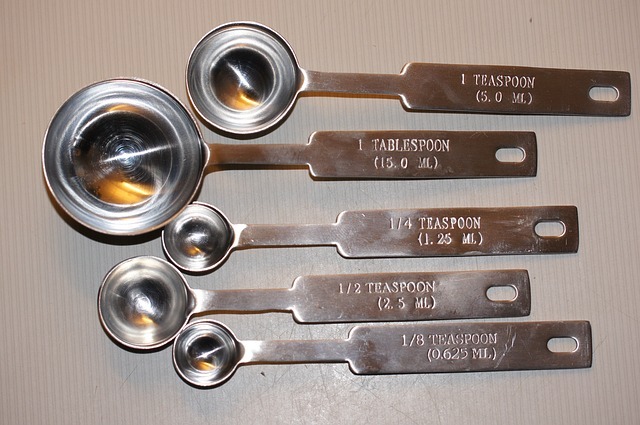 Most measuring spoons are thin such that they can fit even in narrow spice containers. Just like a cutting board, a knife is essential to complete the cutting process. You need a high-quality knife to achieve this. High-quality knives are sharp, heavier and durable. If you prefer having home prepared meals that means that you will have to use your utensils often including a knife. You, therefore, need to choose a knife that is going to last for many years. While there are many chefs’ knives with excellent designs, you need to choose an appealing knife that is quite easy to handle it and maintain as well. You can use it to chop carrots, mince parsley or cut meat among other everyday tasks. Although a cleaver is a type of large knife with different shapes and designs, trust me it does so well when you want to cut your meat. Most meat cleavers look like a rectangular-bladed hatchet. A meat cleaver works perfectly especially when you are trying to cut a bone or cartilage of meat. Apart from cutting meat, you can use it to crush some ingredients like garlic when you prepare food. A cleaver is entirely different from other knives because it has a sharp and strong edge to withstand the repeated force that comes after hitting thick meat and the bone as well. To make your work more manageable in the kitchen, you need it so that it can deal with ingredients that are tough to cut or crush. You can buy a general Purpose meat cleaver that has a wooden handle. When you need to cut bread, cake or anything related to that, a serrated knife could be the best equipment. It serrates well through tomatoes, bread compared to a regular knife. Sharpening a serrated blade is not possible, so you don’t need to spend much money on it. You can always replace it after 4-5 years when it gets blunt. One of the oldest and widely used kitchen equipment are the mortar and pestle. In the past, people used them to crush herbs. If you love natural and tasty spices, you must have a mortar in your kitchen to help you prepare them. Garlic will always taste better in food if you used its paste as an ingredient. A mortar and pestle will simplify your work when you grind garlic, ginger, herbs or any other spice using it. If you want it to work effectively, pour the spices you intend to grind in a bowl and grind them with the pestle in a circular manner alongside the bowl’s sides. This gives you the flavor and juices in the spices. Everyone hates when fried food gets soggy. So do you. That’s why a cooling rack might be equipment worth to consider while shopping kitchen utensils. If you love smoked meat or fish, trust me they will need much of air circulating during the initial preparation. Again a cooling rack would step in to do this job. With a cooling rack, you won’t have to worry about placing the fish or meat in the pan. You can set it on the shelf directly and put it on a smoker. Cooling racks can also act as good dehydrators. For example, if you want to prepare oven-dried tomatoes or dehydrated apple rings, a cooling rack will diffuse heat and avoid delicate food from sticking on the bottom of your pan. There are many other uses of a cooling rack, e.g. making baked food crispier and preparing oven bacon among other applications. 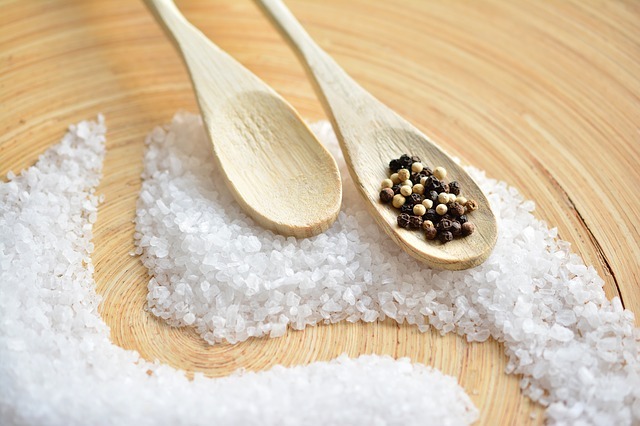 Have you ever noticed that you tend to use salt more often than any other ingredient in the kitchen? Apart from that, even when eating, you might need to add some salt to your food. What does this mean? This shows that salt should always be easily reached all the time. While you may have other containers to keep your salt and use their small hole to sprinkle salt on your food, the holes may take much time when you try to get them off the container. Your fingers tend to be more accurate when sprinkling salt on your food. With a salt pig, you can easily remove salt from them and sprinkle it on your food. When cooking food in your kitchen, you need to wash food such as vegetables and salads among other things before preparing them. The easiest and fastest way of draining water from them is by using a colander. You can also remove excess water from pastor using a colander. Most colanders have a beautiful design of ergonomic non-slip handles and stand to avoid slipping all over. With their perforated nature, they can quickly drain fluids from food and retain the solid in them. You can also use a colander to keep things fresh. You can store berries, tomatoes or other fruits in it. Since it is well aerated, the fruits can’t go bad quickly. You can try the 5-quart stainless steel colander from OXO Good Grips to drain fluids from what you are preparing. Almost everyone loves coffee. If you are used to making coffee in the traditional way of boiling water in a pan and adding coffee, you are missing a lot. It’s quite easy to make coffee with a coffee maker. The reason why a coffee maker stands out as the best is because it extracts flavors of the roasted coffee beans. A good quality coffee machine boils coffee and pours it through the roasted coffee, gets the coffee flavor and drains into the serving container. Some have filters made from metal, plastic mesh or cloth. Some coffee machines have a coffee grinder, so you don’t have to buy grinders separately. Choosing the best coffee maker depends on your needs, budget, and taste. The market has different coffee makers, but you can try the Keurig K55 K-Classic Single serve k-Cup Pod, Coffee Maker. You have to agree with me that even if you have a whisk, you must use something to mix your stuff. That’s why you need mixing bowls to mix sauces, marinades, salad dressings, spice rubs and other left over. You might think that you can use any other dish to combine ingredients but trust me; a mixing bowl could do better than them. Being a deep bowl, it works well on mixing different stuff. It is made of materials like ceramic, stainless steel, glass or plastic. One advantage of a mixing bowl is that it doesn’t absorb odor from what you have been mixing or stains. Before purchasing mixing bowls, consider their sizes. Small bowls are used to incorporate small stuff like eggs while large bowls mix medium amounts of ingredients. There comes a time when you are busy cooking and may be in a hurry, and you realize that you need an ingredient in a tin, a jag or a bottle. The worst thing happens when you try to open in a hurry, and you can’t do it with your bare hands. A can opener makes your work easier and saves you time as well when you want to open jar lids, unscrew tops or open crown caps. If you have a baby, mashed potatoes or bananas among other types of meals will always be in your menu. You might not know that you need a potato masher until the time comes when you need to prepared mashed potatoes. The labor behind mashing potatoes manually using a cooking stick can be exhausting. With the help of a potato masher, you save much time and make work easier than it would have been without it. Apart from mashing potatoes, a potato masher can make egg salad, chopped wall nuts, broccoli soup, crumbled feta, vegan scramble, and cookie or cracker crumbs among other types of food. There are different types of potato mashers, e.g., the rice masher, electric mixer, potato ricer, and stainless steel potato masher among others. What you choose should be based on what you frequently prepare. How do you peel your vegetables? Sometimes a simple knife might work, but it is too manual and takes much time. If you want to speed up the process, consider using a vegetable peeler. It can peel carrots, potatoes, and other vegetables. Before choosing a vegetable peeler, always check on the material that was used to make the handle and the blade as well. While there are many materials used to make them like wood, plastic or metal, plastic is the best option. Metal could be good, but it’s not comfortable when you use it in peeling for a long time. Wood might not be good as it is porous and can keep bacteria. You should also consider the design. You can choose a vegetable peeler that has a blade that extends from the handle. You don’t just need a baking dish, but a large one. A casserole can accommodate your mashed potatoes, vegetables and other foods that you need to place in large quantities before serving. While baking dishes don’t always look great, they last longer, are economical and are easy to clean as well. Some meals such as lasagna would not be easy to prepare without using a baking dish. A baking dish can either be made of metal, glass or plastic. In case you want a baking dish specifically for preparing lasagna, choose the one made from glass. Glass will help to keep it warm even after you remove it from the oven. The only drawback of using glass is that it takes quite long to bake whatever you are baking as it is a poor conductor of heat. You might choose a metal baking bowl if you want something that can cook faster. If you love blended juice, you now understand that you cannot do without a blender in your kitchen. But if you frequently multitask in the kitchen, you know better what a blender could do to you in your culinary experience. Apart from being a juicer, you can use a blender to make soup very fast. You merely need to put certain ingredients together and break them down into soup. One thing that you will love about it is that it will break all ingredients uniformly leaving you with smooth and tasty soup or juice. You can as well use it to crush ice, make sauces and make other drinks. Since there are many blenders out there, you may need to answer specific questions before buying one. What is the power range of that blender’s motor? What materials did they use to make the blender? How much space can it occupy? What’s your budget? Such questions will help you choose a reliable blender that fits your needs. Water is essential in your body, and you need to take at least 6-8 glasses of water per day. During the cold season, you will be making hot water and drinks most of the time to avoid catching cold. That will not happen when summer approaches. You will need something to cool off the heat. If you have never purchased a water cooler, things may not be easy as you will keep craving for cold water. The advantage of water from a cooler is that it has undergone natural filtration or a machine has filtered it making it safe to drink. Another interesting fact about water coolers is that some of them can provide both hot and cold water. You, therefore, need to consider the range of temperature that a specific water cooler can offer before purchasing it. Even if you have other types of pots in your kitchen, you will still need a nonstick pan. While non-stick pans may take a little while to heat up, you need to season them first. Apart from knives, pots are among the items that you will use mostly in your kitchen as cooking can’t go on without them. You can use them to cook scrambled or fried eggs, bacon, sautéed veggies and more. You can choose any size depending on the amount of food you often prepare. Soup is essential in your meals and sauces as well. Having a sauce pot makes it possible to make sauce, and you can also use it to steam vegetables or boil them. When buying a sauce pot, you need to consider the amount of food you will be cooking. If you have a large family, you need to buy a relatively large sauce pot to accommodate enough soup. If you want to improve your cooking experience, you need to choose good quality pots with the best materials. You can look for heavy gauge pots that have handles with a sturdy lid. You might wonder if a meat thermometer is necessary, but it is one of the best investments you could ever make. While many people don’t use meat thermometers while cooking, some diseases can arise in your body when you eat undercooked food. How can you ensure that you don’t undercook your meat? You need to know the temperature of the meat when cooking to avoid poisoning from undercooked meat. A meat thermometer helps you to prevent undercooking and overcooking as well. When buying a meat thermometer, you need to consider if it is accurate, fast, if it’s working, whether it has a temperature range and if it comes with other accessories. Since there are digital and analog thermometers, you need to opt for digital thermometers since they are efficient. Do you love baking cookies? Aluminum sheets are the best options and are not only good for baking cookies but also other things like fish and chicken. Did you know that you can also use them to roast vegetables? If you love different tastes of the vegetables, you don’t just have to fry or boil them. You can also roast them to add some flavor. An aluminum baking sheet is all that you need to do that. How do you flip meat or serve salads? Tongs are made with claw-like tools to help you hold and turn out different types of food in the kitchen. You can use them to squeeze juice from lemon or oranges, or stir-fry ingredients. 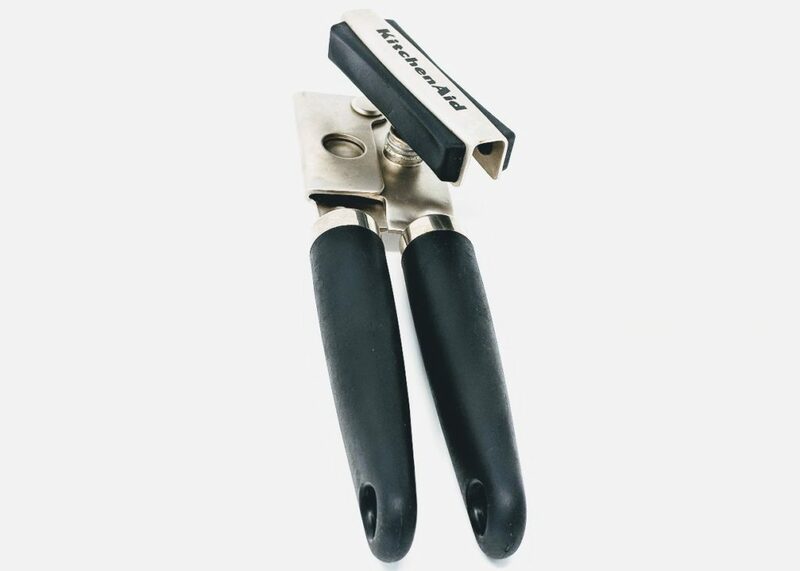 You can as well use them to open bottles or to pull hot potatoes from an oven. I have also used them to turn dishes without removing them from the oven. When you have them in your kitchen, you will notice that you can use them for different purposes. There are many types of tongs in the market. There are those made with heavy metals while there are light ones made from plastic and others are even made from rubber. Your choice depends on how you frequently use them, but those made from rubber appear to be the best since they are well insulated. The coolest thing about cooking is that you can do anything to come up with a delicious meal. There are no rules for cooking, and you can apply as much creativity as possible. If you thought that rolling pins worked well with making dough only, you are quite mistaken. A rolling pin can do a variety of things. If your mortar isn’t readily available at the moment you want to grind ingredients like ginger, you can use a rolling pin to crush that stuff. You can use it to tenderize meat as well. Sometimes you may need a different flavor of meat if you have been frying or boiling meat. Roasted meat tastes great if you roast it the right way. You can use a roasting pan to prepare meat, but you may need a little preparation before doing that. If you want to make large quintiles of meat you need to choose a large roasting pan. You might want to select a roasting pan that has a rack. A good roasting pan should be made from nonreactive metals, have a handle and be slightly heavy. You cannot do without serving dishes. If you love serving food the family style, you need serving dishes and serving bowls to present your food and serve. There are different types of serving plates and each with a specific purpose. When you need to serve a large portion of meat, you need a large oval plate to use it for serving. You can also use such plates to serve vegetables and potatoes among other foodstuffs that need to be served in large quantities. One mistake that most people find themselves doing is using the same spoon they used to cook to serve food. Serving spoons are essential depending on the type of food you often cook. There are serving spoons specifically meant for serving soup and those intended for serving dry food. You can use slotted spoons to serve big pieces of meat or potatoes from soup in case you boiled them. If you need to serve sauces, you can use the non-slotted spoons. Where do you store ingredients and leftovers? Sometimes having containers like a cereal container, sugar container or a container of fresh veggies saves you from the pain of using inappropriate utensils like small basins to store food. For example, a cereal container stores your grains well and prevents it from pouring down in case of accidents. There are different types of storage containers, and all depend on the kind of food that you want to store. Some have detachable lids, and that means you can use them to store all sorts of food. Do you love warm beverages in the morning? Sometimes it gets so cold during the day, and you might want coffee or tea. A tea kettle will serve you well in that situation. Just like other kitchen equipment, you might want to consider the material of the tea kettle and size as well when buying one. If you have a large family, you should have a relatively big tea kettle to be enough to serve the whole family. You must agree with me that glasses are beautiful and make you more civilized when using them to drink beverages. There are different types of glasses. Some are meant for cold drinks and might crack when you use them to take hot beverages. There are those intended for hot drinks and always appear to be thicker. You need to have both of them to serve you when making all types of drinks. You must agree with me that cooking your food at home is more fulfilling and satisfying. You can cook what you want, anytime and enjoy your meal. You, therefore, need essential kitchen items to make work easier. There are many kitchen items out there, but the ones mentioned above are the most critical. What are the other kitchen items that you must have in your kitchen?